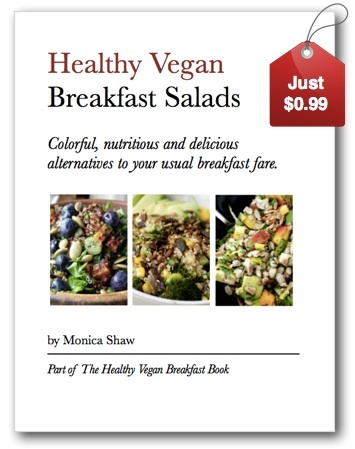 Healthy Vegan Breakfast Salads eBook: Just $0.99! Healthy Vegan Breakfast Salads: eBook for Sale! Buy it now for just $0.99! 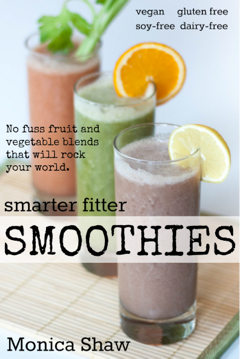 This eBook is a stepping stone on my way to producing The Healthy Vegan Breakfast Book. This first “edition” is all about: Breakfast Salads! It may seem a bit untimely, given the wintry weather we’ve been having, but I’m starting with salads because these are the breakfasts that started it all: colourful bowls, crazy combinations and some unlikely breakfast ingredients like quinoa, arugula, tofu, tempeh and loads of fresh herbs. These breakfasts have always attracted the most attention on Instagram, Twitter and Facebook, so I’m riding the wave: it’s Healthy Vegan Breakfasts v1.0! You’ll be supporting a two great causes: (1) my subsistence. (I like many self-employed folk rely on multiple income streams to feed myself and pay the bills) and (2) the development of more healthy vegan books! There are loads more reasons to buy this eBook on the salesy page, so head over there now and buy it for just $0.99. You’ll get a great book and lots of love from me. Thanks for all the support, everyone. Roll on Healthy Vegan Breakfasts v2.0!